Dan Daniels, a Washington radio and television sportscaster for 22 years whose commentary and play-by-play coverage included Redskins football, Senators baseball and college contests at the University of Maryland and the U.S. Naval Academy, died Aug. 13 at Suburban Hospital in Bethesda. He was 90. He had complications from a fall at his home in Bethesda, said his son Tim Daniel. From 1961 to 1968, Mr. Daniels was the broadcast voice of the Washington Senators, an expansion team that replaced the original Senators, which had decamped to Minnesota. He switched to WRC-TV (Channel 4) in 1969, reporting sports on the evening news shows. In January 1973, he covered the Redskins’ first Super Bowl appearance. They lost to the Miami Dolphins, 14-7. “I come from the old Red Barber school of broadcasting — describe it but don’t overpower it,” he once told The Washington Post. Mr. Daniels remained with WRC through 1979, by which time his on-air appearances had become sporadic. He was spending more of his time running a printing business, Dan Daniels Printing, with his wife. They purchased a small print shop in Bethesda in 1973. The operation had grown to 30 employees from four and to two locations by the time they sold the business in 1990. It included a copying center and facilities for printing letterheads, newsletters and small newspapers. Clarence Drane Daniel was born July 20, 1922, in Americus, Ga., and grew up in Jacksonville, Fla., after his father’s death. He added the letter “s” to his surname after entering the sports broadcasting business to avoid confusion with the celebrated New York sportswriter Dan Daniel. He never changed his name legally and his wife and three sons used Daniel as their surname. Mr. Daniels attended the University of Florida and began his broadcasting career in 1941 on the university’s radio station. He served in the Coast Guard during World War II, then became a sportswriter and broadcaster at a Jacksonville radio station, where he met his future wife, Virginia “Jinx” Stephens, a copywriter. They married in 1950. Jinx Daniel died in May. Survivors include three sons, Robert Daniel of Irvine, Calif., Timothy Daniel of Bethesda and Paul Daniel of Santa Barbara, Calif.; five grandchildren; and two great-grandchildren. 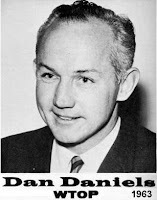 With John MacLean as his broadcast booth partner, Mr. Daniels did radio and television play-by-play broadcasts of Senators baseball games for WTOP for much of the 1960s. Highlights of those years included the 22-inning game with the Chicago White Sox in 1967; the 21-strikeout, 16-inning game thrown by the Senators’ right-hander Tom Cheney against the Baltimore Orioles in 1962; and the May 1968 streak in which Frank Howard hit 10 home runs in 20 at-bats. Mr. Daniels also did the radio broadcast of the 1964 major-league All-Star game, played at New York’s Shea Stadium. 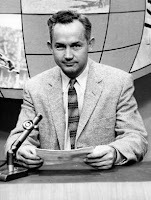 From 1957 to 1969, he was sports director for WTOP radio and television, then was briefly sports information director for the University of Maryland before joining WRC. The National Sportscasters and Sportswriters Association named Mr. Daniels outstanding sportscaster in Washington three times in the 1960s.